Available now with forScore and forScore mini, you can access your Musicnotes arrangements and add them directly to your forScore library. 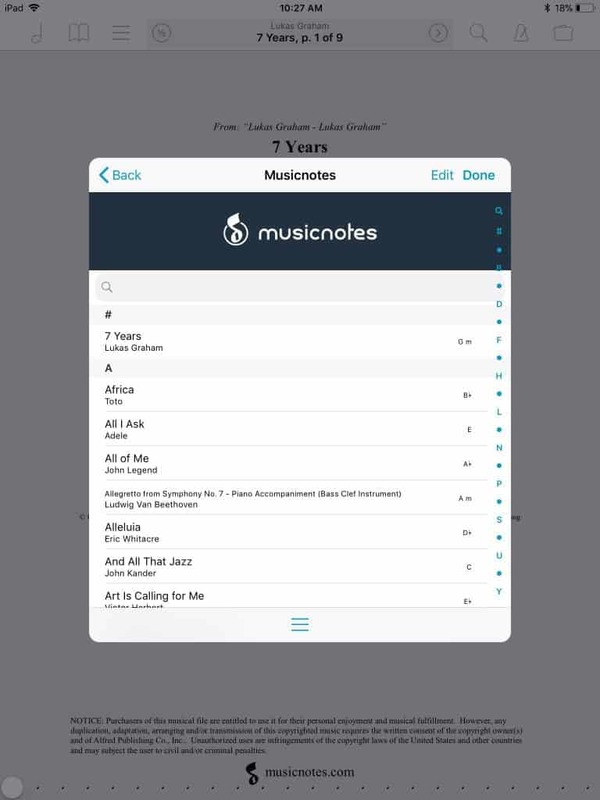 Enjoy instant access to your high-quality Musicnotes arrangements in a class-leading sheet music management app with no trade-offs between quality, resolution, or size. Don’t have the forScore app yet? Click here to download for iPad or click here to download for iPhone. 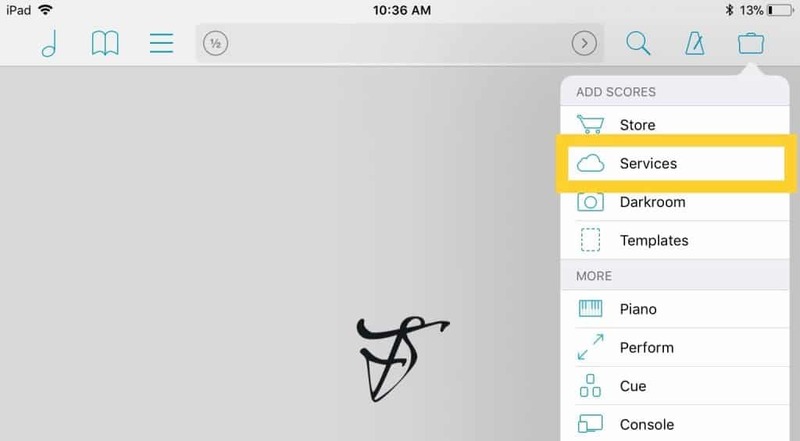 Once you’ve created an account at Musicnotes.com, open forScore and tap the center of the screen to show the main control bar. 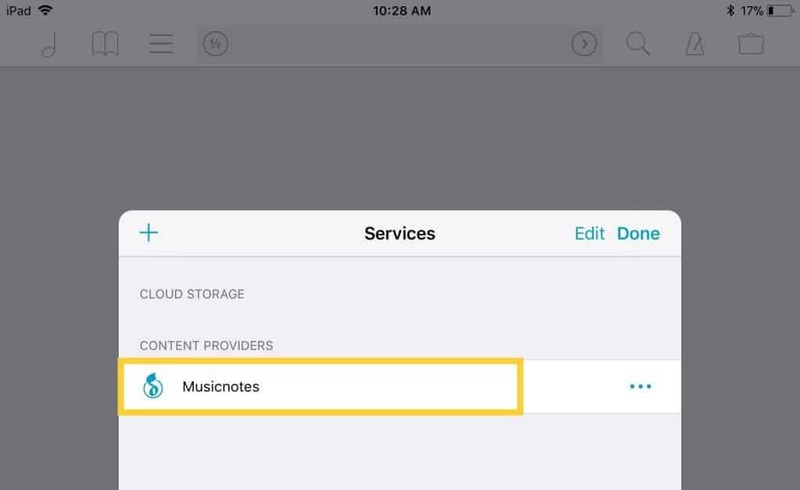 Tap Musicnotes in the list of “Services” and a prompt to log in will appear. Enter your Musicnotes login credentials here. After your successful login, a list of purchased content will appear. Tap on a song to download. Tap the sort button (three lines) at the bottom of the panel to sort by different metadata. Drag the panel downward to refresh the file list. Tap Edit to either manually select multiple files manually, or tap the checkmark button to select all. Then, tap the download button (cloud icon) to download the selection. Enjoy playing your Musicnotes sheet music! 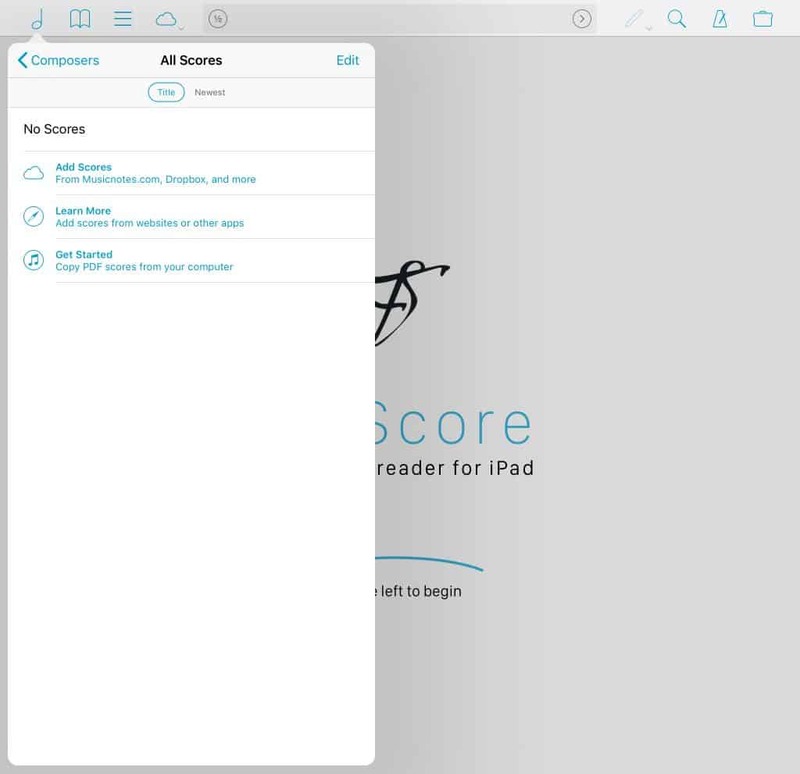 If you are a first-time forScore user and there is no content in your forScore library, click the note icon in the upper-left and select Add Scores from Musicnotes.com, then continue from step 3 above. For any further support with the forScore or forScore Mini app, please contact forScore Support.